So yes, I am still a little MIA from Blogland. I just need to concentrate on quilting for a little longer to make some upcoming deadlines, then you should see me a little more....hopefully. :-) I thought I would share how I decorated with my goodies that I brought home recently. While I love primitives, I don't like a cluttered look. Nor do I like a "dark" look. I love antiques. I would pick an antique over a piece of reproduction furniture that has been painted to look old given the choice. Not always, but most of the time. I'll start with the kitchen. I wanted to change out my roosters that were above my cabinets. I was accumulating a few too many and they were looking a little too cutesy for me. The basket and scale were the "new" purchases from my goodies. The crocks and others were all from my stash. I love when I can find buried treasures in my home. Just like shopping our stash for quilting!!! I have not decided on the coffee grinder yet...he might not have a permanent residence there. Hmmm??? I love how the new look compares to the way it was. Of course I didn't take a before photo, but I found one so you get the idea. Please pay no attention to Kristin and I looking our finest while making pierogi and notice the roosters on top of the cabinets. Big improvement!! I haven't totally done away with the roosters. There are still a few sprinkled around. I'm still undecided if I will keep the roosters there or not. I just could not get a very good pic with everything all together. Moving on...I added the decorative balls to the basket of fabric ones I already had. The rest of the photos are either some Easter decor pics or other new little decor additions. A nice new welcome for guests at the front door! Sorry for the photo overload. :-) Hope everyone has a great weekend! It all looks gorgeous with your new finds. I have some of the same crocks. Your Easter pretties are lovely the carrot tree is adorable! Nice decorations, Linda. I'm with you. I love antiques! And I don't think you or your sis could have a bad photo op! Your 'new' decorations look great! You have a beautiful kitchen and I like the way you changed things...very nice. I don't think there were too many pictures...I love looking at them!! Have a great weekend!! I love it - your home is just darling, and very welcoming, Linda! I loved all the pix. The area above the cabinets looks great. 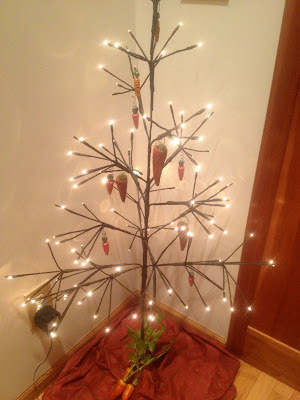 I am loving that carrot tree as well. Let's face it, I love it all. You have a beautiful home. Great photos! Your home is beautiful. I hope that you are just the right amount of busy with all your work. Great photos, you have a lovely home. Love the "welcome" on your door and your Easter decor pieces are gorgeous. Hope you aren't too overloaded with work. Lovely, It looks like a warm happy home. I totally adore the "new" look the roosters have, Linda -- I hope you keep them! Everything looks wonderful - neat, tidy and oh, so prim! Oh - and the coffee grinder is perfect in that spot! Lovely photos :-) That carrot tree is adorable, well so is everything else :-) I know what you mean about staying away from tne computer. That's what I'm going to try to do for the next few days. I've got to get some stuff done! I think we have the same kitchen faucet LOL!! Wow Linda - howe beautiful is all that. What a lovely place to 'work' in and cook of course. Beautiful home. i hope you are quilting and not sick! Missed you! 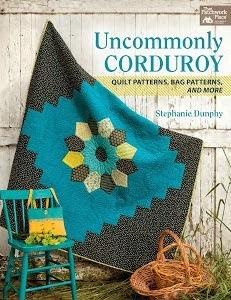 Your quilting is amazing!! What a talent! We're almost neighbors because I'm in Wisconsin. 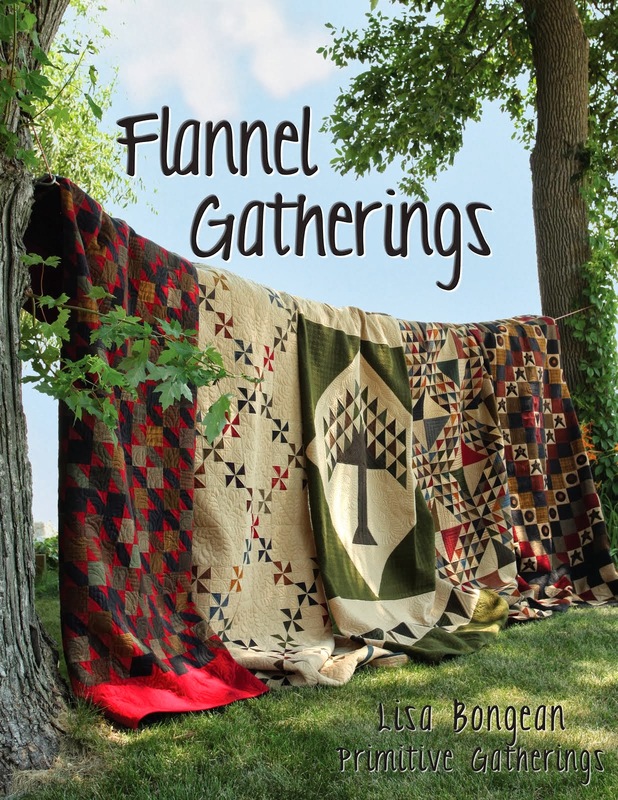 I would love to send one of my quilts your way! !